Last Monday we were almost late to school because of a stink bug. Yup, a stink bug. 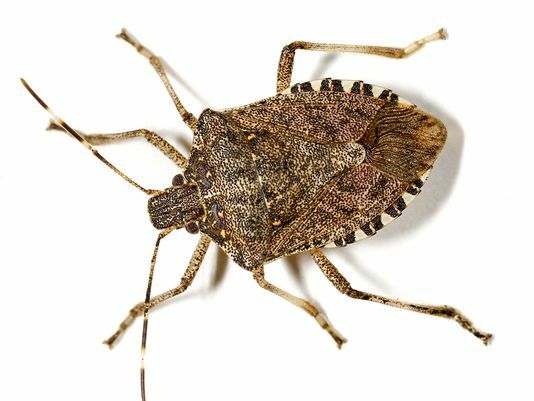 Actually, a brown marmorated stink bug to be exact. But that’s how the saga ends, not begins. Let me back up. It had to be at least a month ago when I first noticed him (her?) motoring around the walls around our kitchen table. “Look at the stinkbug!” I announced to Baby Zu, pointing. Her eyes lit up as her gaze followed him around the room, and her tiny pointer finger bobbed up and down excitedly. “BUH!!!!! BUH!!!!!! !” she sang out. We watched together for a few more moments, until she eventually lost interest and turned her attention back to her avocados. Anyway, THANKFULLY our insect du jour was none of the above. I kept an eye on him periodically throughout lunch, but to be honest forgot all about him. Then a few days later he showed up again. “BUH!!!!! BUH!!!!!! !” Baby Zu happily announced. I looked up and sure enough, there was our stinky friend running laps around the ceiling again. And once again, we watched for a while until we got bored, then went back to our lunches without giving him a second thought. Then the following week he reappeared…and then again a couple of days after that. Every time the scenario was exactly the same – the same bug, walking around the same place, at the same time. This happened at least 10 or so times over the course of several weeks. Until that fateful Monday morning I mentioned earlier, the one that almost made us late. “I SEE THE STINKBUG!!!!! !” Big C shouted with glee as we were all putting away our breakfast bowls. “BUH!!!!! BUH!!!!! !” added Baby Zu. I walked over to the table to find both children on the floor observing intently as the subject of their investigation wiggled his legs frantically around, trying to right himself out of the upside down position they’d found him in. I looked at my watch – 7:55. It was pouring down rain so we’d already decided to take the car instead of biking, but needed to be pulling out of the driveway in the next 5 minutes to make it before the bell rang at 8:15. My first inclination was to swoop in with a napkin, scoop up the bug, and tell the kids to get shoes and jackets on while I tossed him outside. That would have been most efficient. But then I looked at the awe and wonder on my children’s faces. Despite his constant ceiling scans at dinner, Big C had yet to see the stink bug until now. (In fact, he and his father were starting to doubt my stories altogether until at one point I’d managed to produce a picture.) Baby Zu was pointing and jabbering away, head cocked to one side. I took the napkin, but instead of snatching him up, I flipped him over. Both children giggled and squealed as the bug began to move. “Don’t squash him, you’ll make him stink us!! !” Big C warned Baby Zu, who can sometimes be a little overzealous with her pointer finger. The next few minutes were amazingly adorable, and I’m so thankful that I didn’t make us miss it in a rush to get out the door. As it turns out, the rain had caused delays everywhere, and the carpool line stretched for almost half a mile. “The whole school is in the carpool line!” Big C commented as we drove around the corner and traffic came to a halt. So while we WERE in fact late, the bell was delayed because everyone else was late too, so it didn’t matter. But you know what? Even if we would have missed the bell and had to walk in to get a tardy slip, it still wouldn’t have “mattered.” Because our potentially hurried and hectic morning had been blessed with a stop-and-smell-the-roses, er, stinkbug kind of moment that you don’t get everyday. The older my children get, the more I’ve learned to welcome and savor those moments, because they are the ones that bring light and life to your day. 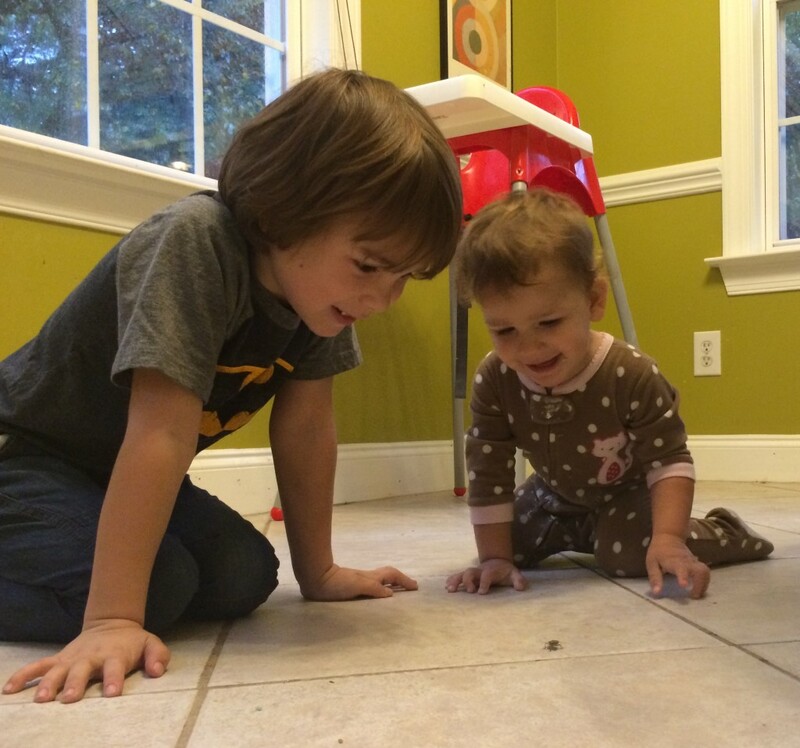 The “stink bug moments” are the ones that matter. Lovely story and reminder about what matters. Your kiddos are so cute!